Scirocco's Blue Djinn took Reserve Best in Show 1st Show of NAKC/Rarities in Livermore, CA.. Second show was the ISWS Specialty where Djinn took Winners Dog and got his points to complete his ISWS Championship. He's now a Double ISWS Champion with both Show and National Racing Championships. Tara's three puppies are now 4 weeks young, and Mia's four puppies are now 2 weeks young. Go to our litters page for information and image gallery links. Scirocco's Blue Djinn in the white jacket last race of the day earned his SRCX national Straight Racing Championship today in convincing style with a large field of Silken Windhounds. Mia's pregnancy from her breeding with Brewer was confirmed by Ultrasound. Tara is flown home from North Carolina to Sacramento. She was dearly missed by us, her pack, and we were so happy to have her back. Puppies expected October 17th. Tara's pregnancy is confirmed by Siendo's vet by Ultrasound. 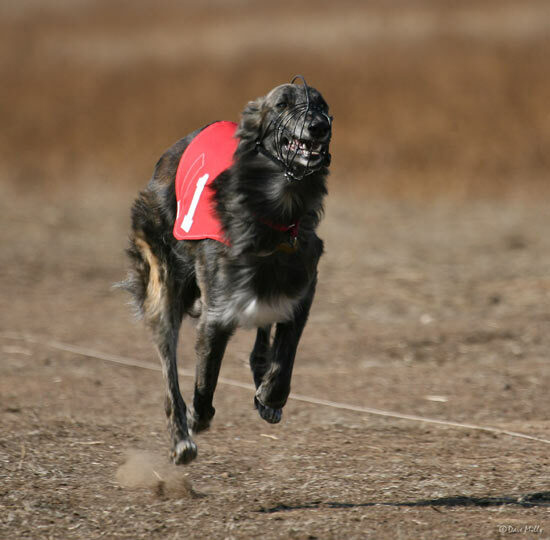 Tara is flown to Siendo Silken Windhounds in North Carolina to be bred with the Eastern Speedster "ISWS and NAKC/Rarities Int Ch Lagniappe Shadow On The Teche SRCX"(River). The last three weekends Sunday 28th of September (NAKC Rarities Show in LA), 4-5 October SWC Boofest, and 11-12 October BRNC Racing were all busy weekends for Scirocco. At the Rarities Show, Scirocco's Blue Djinn won his Rarities Show championship. October 5th SWC/ISWS Racing, Djinn won the event with one point left to get his Straight Racing Championship. October 11th BRNC/ISWS Racing, Djinn won that days racing and earned his SRC Title. The following day October 12th, Djinn added to his winning streak of three race events in a row. He now has a Racing Title and has 12 points towards his SRCX title. We're very proud of him in both conformation and of course racing. He becomes the first SRC born of two SRC champions Brewer and Tara and the first grandson of an SRCX champion Gideon. We're looking forward to this Winter's breeding of our own Talisman of Tarazed Scirocco (Tara) with Talisman's Light of Helios (Helios) both show champs and SRC champions. Go to our Litters page for more info. In April at the NAKC show in Placerville both Brewer and Tara earned their ISWS and NAKC/Rarities championships! It was quite a weekend for all of us and we were so proud of them both - they looked and acted like real pros in the ring. 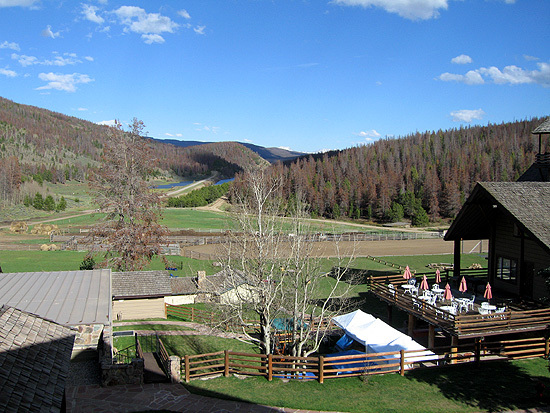 In June the entire Scirocco pack traveled to King Mountain Ranch in Colorado for our first Silkenfest. We drove two days, spent 4 and 1/2 days at the ranch. The dogs had a great time, we were exhausted by the non-stop activities. Djinn was our highest show placement taking second in the Bred by Exhibitor class. If he'd had a little more weight on him, he might have taken first, but it didn't bother him! 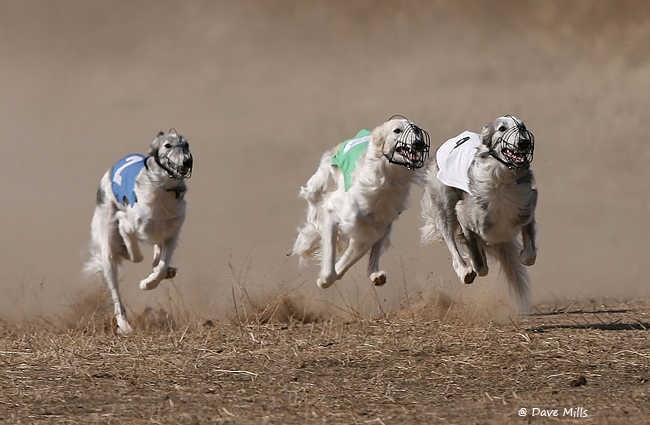 He went on the next day to make a top 10 finish in the straight racing field of 38 dogs. He's halfway to his racing title already! Brewer finished in the top ten as well - not bad for a dog who's hearts desire is to be a professional couch potato. One of the highlights of the trip for us was a chance to see Echo (Scirocco's Khamsin) for the first time in over a year. He's matured into a beautiful silver brindle who adores his new mom, Susan, and Auntie Wendy. Echo remembered us and was so happy at the reunion he tried to climb into my lap while I was standing upright. We're delighed he's so well loved and happy. January 3, 2008. A rainy winter is here in northern California and the dogs are various shades of dirt. Dakar and Djinn play hard every morning and no matter how many baths they have, they're always a mess at the end of the day. Having two almost grown puppies is a new experience. They really are devoted to each other and are almost inseperable. Djinn will certainly miss Dakar when he goes home to his family! While things are quiet here, we're excited about all the new puppies at Talisman, Kumbaya, and Evening Wind kennels. All of them are various relations to our Tara and look like a promising pack of pups! It will be so much fun watching them grow up. Tara finished up the racing year in 11th place nationally. It seems she should have done better, but then we have to remember she also had a litter of puppies in 2007 AND managed to miss all the spring races. So we think 11th place is pretty impressive for a momma! Look for another Scirocco litter in 2008! October 15, 2007.Our Brewer got his much needed 2 points in the BRNC weekend races 13/14 October. So now he is the second SRC champion in our home of Silken Windhounds. September 20, 2007. Hard to believe it's September already. All our good intentions to keep this page current through the puppy raising process went right out the window. The Sands of Time litter is almost 8 months old now; all happy, well-adjusted, beautiful, well-adjusted youngsters with loving families. Djinn stayed with us and delights us every day with his antics. He's too smart and busy to stay out of trouble for long! Kali has become the first tandem riding silken (via a Burley trailer), and Dakar has been busy camping in Colorado. Sultan is living it up with the rich and famous in L.A. and Khamsin, who is now Echo, is charming folks in Michigan. In racing news, Tara finished 2006 at number 2 in national points! She deeply regretted missing all the early 07 racing events just because of puppies. And then she missed the first lure coursing event when she was in heat in July - bad luck all round. Brewer only needs 2 more points for his SRC title. With 4 BRNC races this fall and one RCRA, we're hoping he collects them both before December. We're going to be attending our local El Dorado Hills dog event, "Bark in the Park", on October 7th and on October 20th and 21st we'll be at "Boofest", the California Silken event, at the Contra Costa County Fairgrounds. Drop by and visit us at one or both! 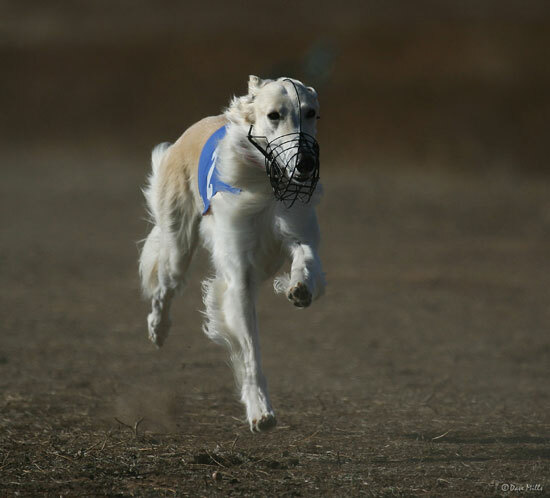 We've banded together with our other California owners and breeders and have started our own club, Silken Windhounds of California, to support racing, showing, rescue and publicizing our beautiful breed at a more local level. Check out the new club web site for photos and Boofest information. Members are welcome! February 5, 2007. We have named our puppies with a Desert Theme, Our first litter is called "The Sands of Time". Our Gallery has been updated with pictures taken at week one (Feb 4th, 2007). To inquire about puppies from this litter, please go to our Litters page. January 30, 2007. We lost our tiniest girl Sego Lily who is now in Puppy Heaven. January 28, 2007. We have puppies! Tara and Brewer got together late November 2006 for romance. Six puppies were born January 28th. Four boys and two girls. November 2006. Busy, busy, busy! 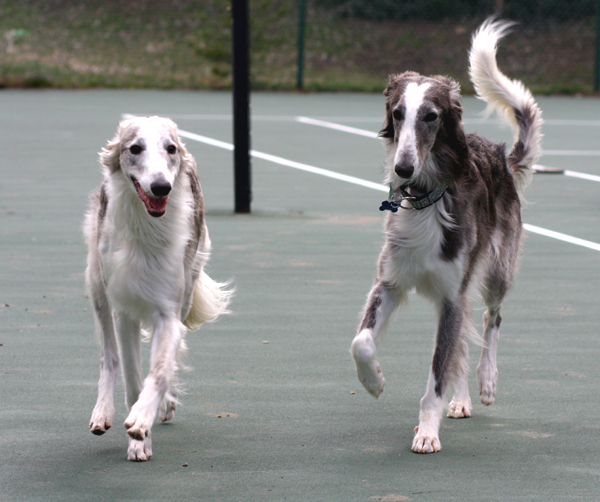 This month we've had 3 different racing meets, one with Borzoi Rescue of Northern California, one with River City Racing and the most eventful – our own ISWS California meet, the first ever ISWS meet outside of Silkenfest! Lots of silkens turned out – 15 to be exact, plus a beautiful bundle of Rubia and Talisman puppies too young to compete. Despite rather grim, unpleasant weather we had a ball and the biggest news of all was that Tara completed her straight racing championship! WOOHOO! Even though it wasn't a surprise to anyone who's seen her on the track, we are proud to say the least. And not to be outdone, Brewer garnered more points toward his SRC and is halfway there now. Even Wiley picked up a half a point of his very own! In September our dogs showed at the IABCA show in Antioch, CA. Brewer took a Best in Group and completed his UCICB International Champion title. Wiley was still in the puppy class at 17 months and received his JHA International Champion title AND his JHA National title. Way to go, boys! With the cool October weather, racing resumed again and we were there. 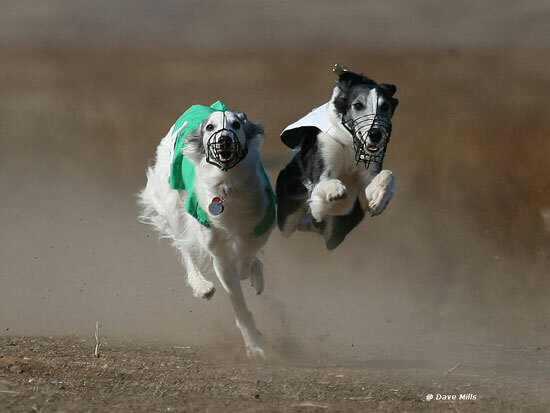 On Saturday, October 14th 10 silkens showed up to race with an additional 4 pups out to practice. Tara won her first two races and took home 1.5 points toward her championship. Wiley got to show his stuff for the first time and he's no slouch. He won his first race of the day! Brewer got two first places as well. The following day 14 silkens raced, our best turnout yet, and Tara won her first two races plus the overall meet to score another 4 points! The boys had various "issues" and an off day, but they'll be back in a few weeks to give it another go.